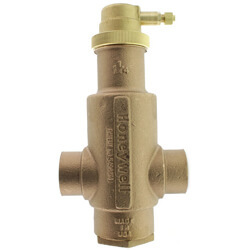 Protect your hydronic heating system from damage and corrosion while lowering noise levels and energy consumption with an Air Eliminator. Find the right one here. 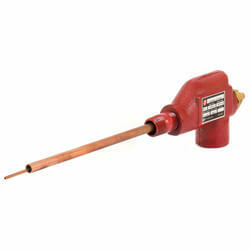 An air eliminator removes unwanted air from a hydronic heating system. 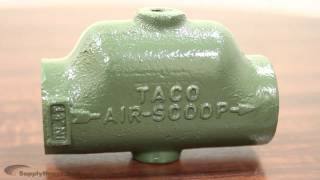 Air can trap vapor in a hydronic heating system which will damage pipes and system components. Air can also create irritating noise and increased energy consumption. 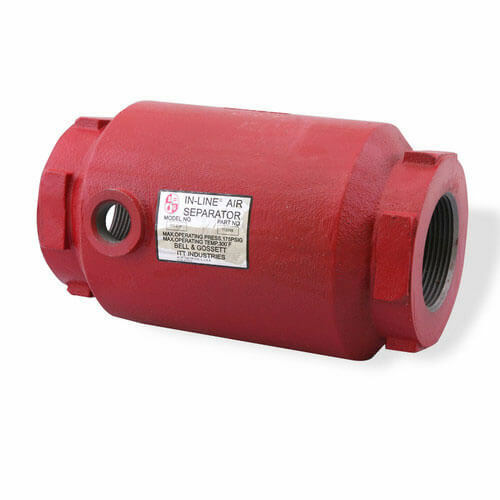 An air eliminator will reduce air in your heating system which will allow for quiet operation and minimize costs. As water temperature increases, pressure decreases. As pressure decreases, air is released from the water. 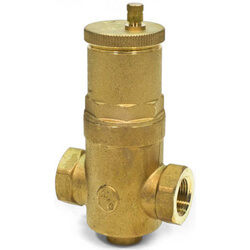 Therefore, an air eliminator should be installed in the hottest part of a heating system -- between the boiler's supply outlet and a circulator pump. 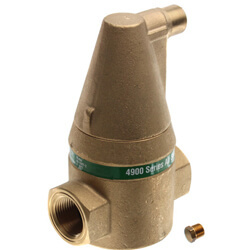 SpiroVent air eliminators are among the most popular purchased on our website. 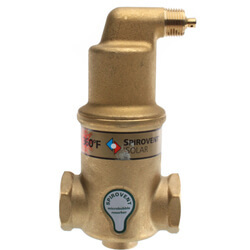 Water entering a SpiroVent contains a mixture of air and water. The mixture collides with the Spirotube within the SpiroVent. The air rises to the top and lowers the water level. The air is then released from a vent cap located at the top of the Spirovent. 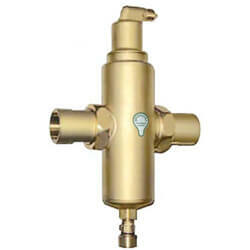 SpiroVent air eliminators are superior to most air elimination devices on the market. 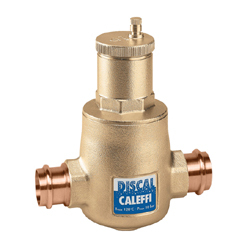 Dirt separators remove dirt particles from a hydronic system. This is important because even the smallest particles can cause huge problems in the system. 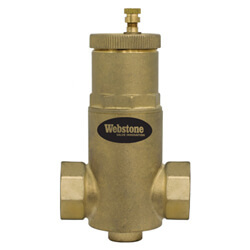 Dirt separators are more effective and lower maintenance than filters. Filters become blocked over time, leading to pressure drops. 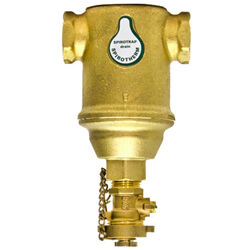 Dirt separators reduce malfunctions, wear and tear, and maintenance cost. 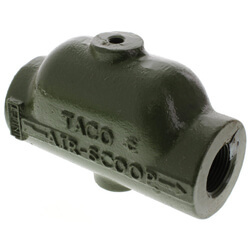 We offer a wide selection of Spirotherm, Taco, and Bell & Gossett air eliminators to suit all of your hydronic heating needs.